The most comprehensive directory of London breweries: LONDON BREWED by Mike Brown. 426 pages, lavishly illustrated in black & white and colour. See our Books Page for details. 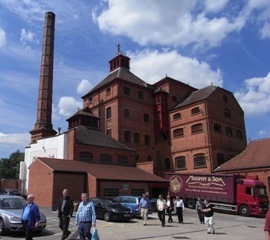 The Brewery History Society: "For all who are interested in the history of beer and brewing"